In Mark chapter five, a man named Jairus came up to Jesus one day and fell at His feet, earnestly pleading for him to heal his daughter. Jesus headed for Jairus’s house; that was His destination. “And a woman was there who had been subject to bleeding for twelve years. She had suffered a great deal under the care of many doctors and had spent all she had, yet instead of getting better, she grew worse. When she heard about Jesus, she came up behind him in the crowd and touched his cloak, because she thought, ‘If I just touch his clothes, I will be healed.’ Immediately, her bleeding stopped and she felt in her body that she was freed from her suffering” (Mark 5:25-29). But Jesus kept looking around to see who had done it. Then the woman, knowing what had happened to her, came and fell at His feet and, trembling with fear, told Him the whole truth. He said to her, “Daughter, your faith has healed you. Go in peace and be freed from your suffering” (Mark 5:34). Jesus was on His way to Jairus’s house. This woman reaches out to Him and is healed “on the way.” Often, your real destination is not what you think it is; your real destination is somewhere on the way to Jairus’s house. There are many people whose lives have been touched for eternity who are not here because of what happens inside church, but because of what you did outside, in the margins. This means, wherever you are, be cognizant of the presence of God. He may be about to do something. Be ready. Don’t turn off your faith when you go out of those church doors. In fact, kick it up a notch. Your destination is what happens between two points. 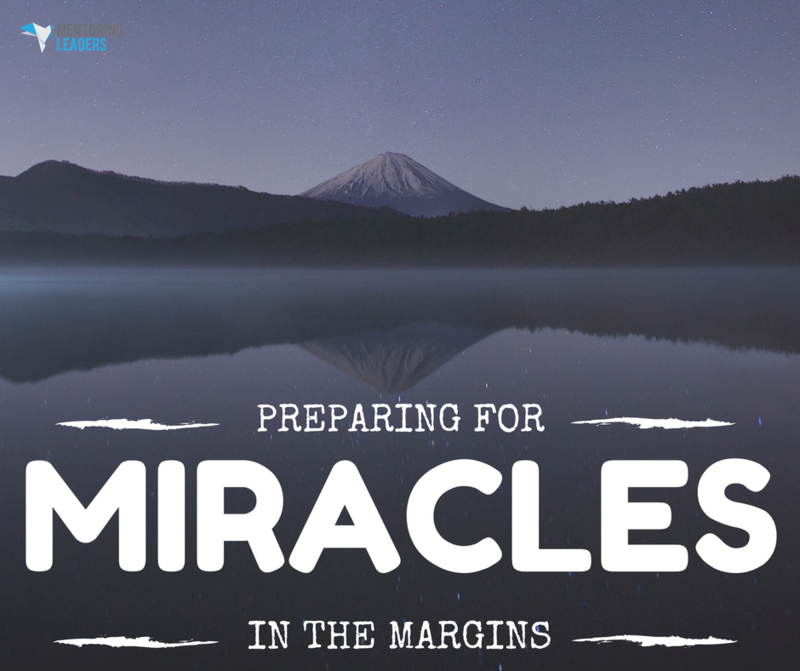 God performs the greatest miracles in the margins, but if you’re not there, you won’t be a part of these miracles. Miracles happen along the way. In just a moment of attention, a simple touch, a word, and you can give a person confirmation to obey what the Lord has been saying to them for years. They just need someone to confirm God’s word to them one more time. So, wherever you are … be there. This means there are times when you’re not genuine. “But if any of you lacks wisdom, let him ask of God, who gives to all generously and without reproach, and it will be given to him. But he must ask in faith without any doubting, for the one who doubts is like the surf of the sea, driven and tossed by the wind. For that man ought not to expect that he will receive anything from the Lord” (James 1:5-7). If you’re a double-minded person, you’ll be unstable in all your ways. Be genuine. More than anything else, events on the way to Jairus’s house give veracity and credibility to our lives, to our faith, to our church and to our ministry. If must refuse to let my flesh have its way. I encourage you to correct your mind and your thoughts. Some of the greatest miracles happen in the margins and that’s what will give life to you and credibility to your faith. If we’re not careful, we will miss the miracles in the margins because we are so intent on getting to Jairus’s house. Wherever we are, we need to be present. We need to demand genuineness of ourselves. And, when we leave church, we need to remember that our greatest ministry lies just outside those doors.